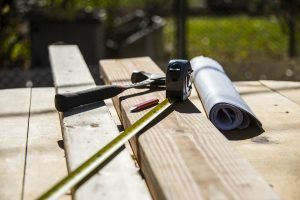 Not all contractors are the same, and as a homeowner, you want to ensure that your new vinyl deck, roof deck, or vinyl patio is built correctly – which is why finding professional vinyl deck builders is vital to your project. Discover one homeowner’s nightmare after her deck was built by a “professional” (not a Tufdek™ certified contractor). The contractor she used advertised as BBB certified…but that certification had lapsed. Another issue at hand is the contractor also used another party – a sub-contractor – to do the work. A bit like highering your cousin Carl, who’s good with a hammer, to do your work. After a bit of digging it was also discovered that the deck builder did not have a permit for the work (required) or a license to complete work in the city. In short, there were a bunch of red flags that should have come up to warn the homeowner that she should keep looking. Nearly any building project needs a permit for construction. Make sure you or your contractor is on this and get proof (it needs to be displayed on the building during the project). Don’t accept a sub-contractor, unless your builder can prove that they are equally licensed, insured and capable as they are. Check their references. Inspect all licensing and accreditation before moving forward. Check online reviews and ask for referrals. Take everything you read or hear with a grain of salt. Get a guarantee, in writing, that when the project completes the final product will meet building code requirements. Choosing unqualified or overly “affordable” contractors could result in a situation similar to Joyce’s – as well as costing you thousands of dollars. Wouldn’t it be easier just to know that the contractor you choose is worthy of the task? At Tuff Industries, we offer an extensive vetting and training process before a contractor become an authorized Tufdek™ dealer. Our group of professional vinyl deck builders is in most major cities across North America, so the odds are that there’s one near you, ready to get started on your vinyl deck project.